Ahmedabad also historically known as Amdavad or Karnavati, one of the most popular Indian cities in the word which has attracted the special attention of UNESCO situated on the banks of Sabarmati. It is true that during the peak hours of a day, the traffic, the noise, and the dusty air can really get into your veins but at the same time it can be little overwhelming and it is well worth to invest some time to get know the city from the roots and veins. This age-old city can really steal and own your heart with its exquisite and lavish centuries-old architecture. The city has gone through many ruling hands and political as well as socio-economic changes. There is not much information available what and how was Ahmedabad before the 11th century when it was known Ahaval or Ashapalli during the regime of Bhil kings. It was in the 11th century the chaulukya ruler of Anhilwara(Patan) 'Karna' waged a successful war against the Bhil king of Ashaval and later on established his capital city with multiple names like 'Karnavati' 'Shrinagar' and 'Rajanagar'. After 13th century it was the time of Vaghela dynasty which was very short one but a very stable one. From there Ahmedabad had seen multiple changes, Delhi Sultanate, then Gujarat Sultanate, Mughals, Marathas, Mughal-Maratha, British, Pre- Post Independence. After all such drastic changes, Ahmedabad was shining like a new bloom star and it was in 2001, nature tried to destroy Ahmedabad. But once again the city proved that, it’s a phoenix. The captivating and signature elements of Ahmedabad is in the old city where one can witness the age-old habitation system may be a fragment of Indus- valley civilization can be seen. 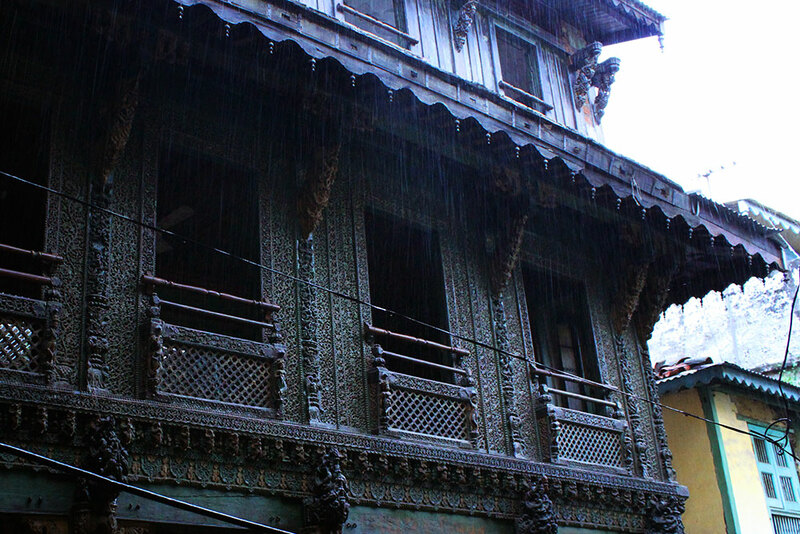 Intricately carved wooden paneling, the traditional technique of rainwater harvesting and conservation. Temples and mosques, museums and architectural monuments, reminisce of the Victorian era and such innumerable things. Last but not the least Ahmedabad got to give mouth-watering retreat to its visitors.